In collaboration with PureSolo (the App creator) we are proud to be the fans advocate for the 'All Woman – the new singing app! 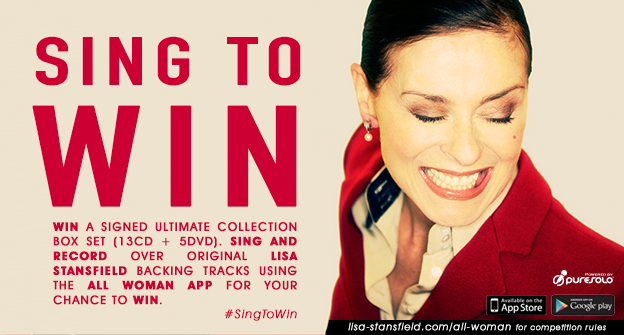 Fans can sing along to 17 of Lisa's greatest hits and then share their efforts with friends, family & followers. The App features the original master backing tracks and is available free for download on Android and iOS smartphones and tablet. The first track is free to use as many times as you like.